This is the first instalment of the Charting Pathways series, where YST graduates look back on their experience at the Conservatory, and give us a peek at their plans for the future. In this article, we hear from Kong (BMus '18, Trumpet) about the diverse learning opportunities that have shaped his growth as a musician. YST graduate Teerapol Kiatthaveephong (BMus '18, Trumpet), who goes by the name Kong, is on track to becoming a professional orchestral trumpet player. Over the past few years, he has worked in the Singapore Symphony Orchestra (SSO) as a freelance musician, and played in top concert venues in Singapore with the YST Conservatory Orchestra as well as his prize-winning brass quintet, Brass Lightyear. While studying at the Conservatory, Kong was under the tutelage of Mr Jon Dante, YST Artist Faculty and Principal Trumpet of SSO. A key part of his training to be an orchestral musician was learning how to play in the style of different composers, and fine-tuning stylistic nuances expected of the principal or section chair. Sharing about lessons with Mr Dante, Kong says, “He says the truth and keeps it real. It can sometimes be hard to hear - but that’s the way we improve.” Kong also appreciates that he was encouraged to be a holistic musician - outside of the classroom, he has nurtured a keen interest in photography. The quintet's communication, teamwork and effort paid off. 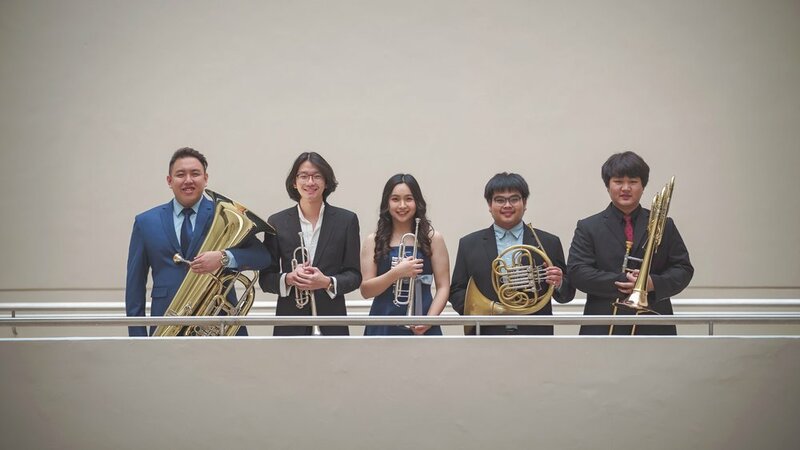 In 2016, Brass Lightyear won 1st Prize at the Open Division of the Singapore Ensemble Competition. And in 2017, they advanced to the final round of the Jeju Chamber Music Competition in Korea.